This seminar is not about Church Growth, it is about Church Health. What are the common barriers to church health. How the pastor’s health is connected to the health of the church. What are some of the essentials for a healthy church. What are the 10 systems every healthy church needs to understand. You will leave this seminar having understood that our responsibility is not so much church growth as church health. Once we address the health of the church, the growth will take care of itself. Our focus ought not be how to make the church bigger but how to make the church better. John Iuliano comes with over 30 years of ministry experience. He is the director of Church Health for the Australian Christian Churches NSW and the Senior Minister of LifeSource Christian Church. He has earned a Masters degree in Ministry from Asia Pacific Theological Seminary and served as the President of Alphacrucis College, the official training College for the ACC Australia from 2003 to 2013.. This seminar is for all pastors and church leaders who want to better understand what the basic principles of church health are. The ACC New South Wales State Executive is passionate about building healthy pastors and leaders. Healthy pastors and leaders create healthy churches, families and communities. Being a pastor or leader of the church has always been a challenge, but there are a number of issues in our modern world that are making good men and women feel unsustainable in their leadership role. Below are the names and contact details of six highly qualified and experienced mentors that will be accountable to the New South Wales ACC State Executive, under the Department of Church Health. Our mentors will focus on holistic and transformational growth. You can read each bio and choose the mentor that you think will help you in this season. The next step is to contact the mentor and find a suitable time and place to catch up. The first session is free as you decide whether it is the right fit for both of you. Following this you can sign up for six sessions of approx. 1 hour per session, at the cost of $50 per session. The fees will be paid up front, directly to the mentor and after the six sessions you can decide to continue or finish up. Mentoring is not for the weak. Significant and successful leaders understand they need people around them that can help them be all that God has called them to be. We encourage you to contact one of our great mentors (below) and let’s move forward together. Annette has been a transforming player in people’s life journey towards wholeness and significance. She has been actively involved in mentoring leaders in church life and developing strategies for community transformation. She is particularly passionate about propelling people forward to embrace their life purpose. Over the last decade she has been a successful and in demand personal development coach because of her unique ability to help people build a life that brings wholeness and resilience to their world, to be able to navigate the multiple demands they may find themselves facing. Annette has been in variety of leadership roles for over 30 years and played a key role with her husband Paul to set up numerous successful enterprises. 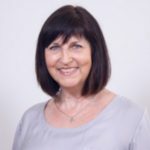 Currently she is the co-leader of Lighthouse, a large multi-campus church and community organisation in Wollongong, NSW. 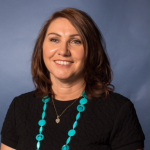 In addition, for the last two years Annette has been the CEO of Wollongong’s newest community space ‘The Woolshed’, an iniative of Lighthouse vision. This iconic venue aims to bring authentic community transformation through a collective of businesses and social enterprises. Her most recent project is the management and development of TGIM The Movement and online global platform to spread the message of community engagement. She has been married to Paul for 30 years, lives by the coast in Wollongong NSW, and has three children, Jordan, Caleb, daughter in law Sarah and Sophie and new grandson Teddy. Bev’s personal mission statement, “to help people come alive to God and to their own possibilities” captures her joy in, and love for God, evangelism, cross cultural mission, people and creativity. She has partnered with her husband, Steve in full time ministry with apostolic gifting for 37 years. For 31 years they pastored the church they planted in January 1987 in Coffs Harbour, NSW. This church, LifeHouse, is recognised as a strong, healthy, influential regional church with a heart to impact nations. Through 4 decades of ministry leadership, Bev has experienced many seasons of personal and church life, the good, the bad and the beautiful! Bev and her husband Steve have now been married for 47 years!!! They have 2 adult married children who have blessed them with 9 lively grandchildren. In 1999, Bev birthed a ministry called “Railway Kids” that ministers to street kids in India. Bev loves to spend time with her family, church and many friends. She enjoys making new friends wherever she might find herself in the world. Since transitioning their leadership of LifeHouse Church, both Bev and Steve have no intentions of “retiring” but wish to use the next season to bring encouragement and wisdom, from decades of leadership experience to the next generation of leaders. Greg McKewin will have been married for 40 years (next year) to his wife Robyn, with 4 adult kids all married and 6 grand kids so far. He has been in ministry now for 21 years. Prior to that Greg trained as a School Teacher but then spent the next 17 years in successful businesses…which included franchising, sales and distribution, importing and manufacturing. In that time he did some further study at Newcastle University which included as part of the Business Degree a major in Marketing. He also has a Diploma of Ministry. Greg and Robyn planted their current church, Baylife Church, in 2002 out of Macquarie Life Church, and have been growing Gods kingdom ever since both spiritually and physically. Planting, purchasing 5 acres, building an auditorium without debt and all the challenges that come with that. Greg had been on the ACC Hunter Executive for 10 years, until he felt it was time to step away last year. He has also been involved in Coach Net Coaching Accreditation with ministers and leaders. In addition Greg and Robyn are both passionate about marriages. And have developed many marriage resources for churches, both a small group resource called ‘Fall in Love Stay in Love’ and more recently a marriage seminar “Love and Marriage” and continue to train and support marriages. Greg’s leadership style is relational and loves seeing young people raised up for Kingdom purpose. Married to and in ministry with Kevin for 44 years, Marilyn is mother of two married daughters and grandmother to six grandchildren. She has studied counselling with the National Christian Counselling Association (NCCA) and has a background in education and a special interest in the arts. Her teaching career includes 5 years in Primary schools, 10 years teaching piano and singing in her private studio, and 10 years as the Principal of Hillsong International Leadership College, specialising in music and leadership subjects. She holds a Bachelor of Education (Adult Education & Training) from the University of New England and a Master of Music (Music Education) from the University of Sydney. 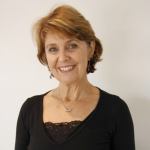 She is also a member of the Music Teachers Association of New South Wales (MMTA) and a long-standing member of the Australian National Association of Teachers of Singing (ANATS). She has graduated recently with a Graduate Certificate in Arts from Alphacrucis with a view to finishing the Master of Arts in the near future. Presently, Marilyn works as an accredited coach and is an associate of the discipleship ministry of New Life Worldwide Ministries. As a ministry team, Kevin and Marilyn have a diverse skill set between them. This has equipped them to minister in varied church contexts, including pioneering, preaching and teaching, conflict resolution, and most recently, restoring a hurting church to full health. This array of experience has given Marilyn an understanding of the pressures that exist in senior leadership as well as in supporting roles within church leadership teams. 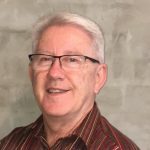 Ray and his wife Margaret are currently living in Batemans Bay NSW and have over 30 years of full-time, productive pastoral and leadership ministry in the ACT, NSW and WA. Coupled with this, is Ray’s extensive experience in team leadership in Sri Lanka, where he built and developed ways to plant 35 churches and scores of micro businesses. Renewing healthy and faith-driven cultures for the local church that attracts families and youth. Developing and empowering local and regional leadership. Raising finances and erecting/developing church building and missions projects. Identifying and breaking down local ceilings that hinder growth and expansion. Ray loves to mentor younger leaders with potential by walking the journey with them in practical and insightful ways. Ray is passionate about imparting the favour of God that is current and productive for a vibrant church experience. Steve Spence along with his wife Bev have been pastoring on the North Coast of NSW for 37 years. For 31 of those years Steve has been the founding and Senior Pastor of LifeHouse church. During this time he has raised up many leaders and pastors who are now ministering throughout the North Coast and beyond. Under his leadership LifeHouse has become a strong mission’s minded church involved in church planting in Far East Russia and North India. LifeHouse has continually given generously to the work of missions. Steve and Bev also facilitate and teach in church planting schools in North India. 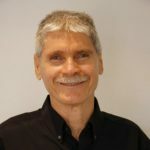 Steve was Regional Leader for the ACC North Coast District for 29 years. Under his leadership the region grew from 5 churches to 31. 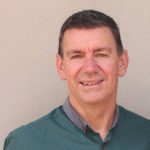 Steve has always had a passion for church planting and has, with his wife Bev, planted Bellingen Christian Life Centre (CLC), Nambucca CLC, Coffs Harbour CLC, now known as Life House, Woolgoolga CLC, and in 2012 LifeHouse Moree Campus was planted. Steve has a unique ability to communicate God’s Word in a way that can be understood by people from all walks of life. Due to his years of pastoral & leadership experience he’s been able to build, encourage & inspire many pastors and leaders throughout NSW & beyond. He has a real passion for coaching, mentoring, and seeing people reach their full potential, achieving all that God has called them to be.